This humorous Being Irish is like Having a License to Drink! t-shirt or sweatshirt is available in many colors and styles. Perfect for a funny gift! 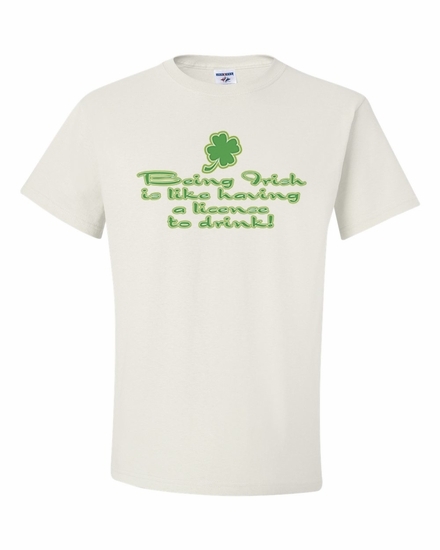 Remember� you found the Being Irish is like Having a License to Drink! Shirts at TShirtHub.com, where high quality came at a low price.